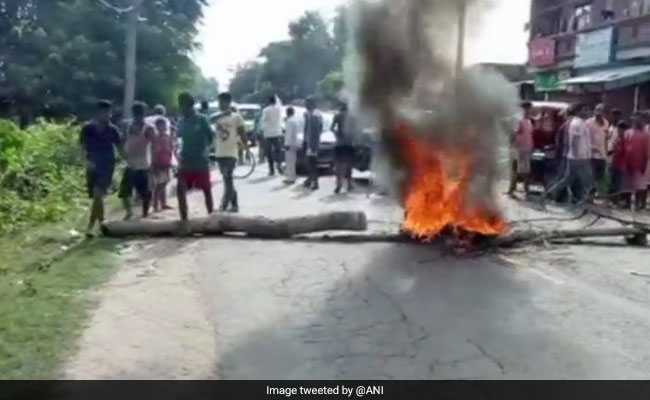 Normal life in Bihar was affected on Thursday due to a nationwide shutdown called by dozens of upper caste groups to protest against the amended SC/ST Act, police said. Trains were forcibly halted, railway tracks, national and state highways were blocked in Bihar as upper caste communities forced the shutdown, disrupting rail and road traffic for hours and stranding thousands of passengers at different railway stations and bus stands. Hundreds of people from the upper caste communities took to streets across the state early in the day to protest against The Scheduled Castes and Scheduled Tribes (Prevention of Atrocities) Act. The protesters burned tyres, blocked roads and rail traffic in Patna, Gaya, Begusarai, Darbhanga, Samastipur, Nalanda, Muzaffarpur, Madhubni, Bhojpur, Lakhisarai, Sheikhpura, Nawada and Bhagalour districts. In Patna, supporters of the Sawarn Sena and Sawarn Morcha activists surrounded Bihar Bharatiya Janata Party (BJP) headquarters in protest against the SC/ST Act. They shouted slogans against Prime Minister Narendra Modi and threatened to intensify their protest against the central government. The agitators also staged a protest in front of the ruling Janata Dal-United (JD-U) office. The JD-U is an ally of the BJP. Schools and colleges, markets and business centres remained closed in several towns in Bihar. At different places across the state, angry protesters raised slogans against PM Modi and the central government and demanded reservation for the poor among the upper castes in jobs and educational institutions. Opposition Rashtriya Janata Dal (RJD) has termed the protest as anti-Dalit and anti-reservation, while the JD(U) said the protest was against the Constitution. The BJP leaders maintained a total silence over the protest.